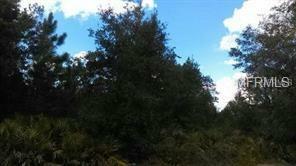 This 3.75 acres of beautiful nature in in the Green Swamp Preserve in Florida. Believe it or not, you're close to Disney and other attractions. This piece of paradise is loaded with deer, wild boar and turkeys to name of few. Build your "getaway" here or put a mobile home on property for now and then build your dream home. Also perfect for a Wilderness Camp, or Lodge. Surround yourself with the wonders of nature!